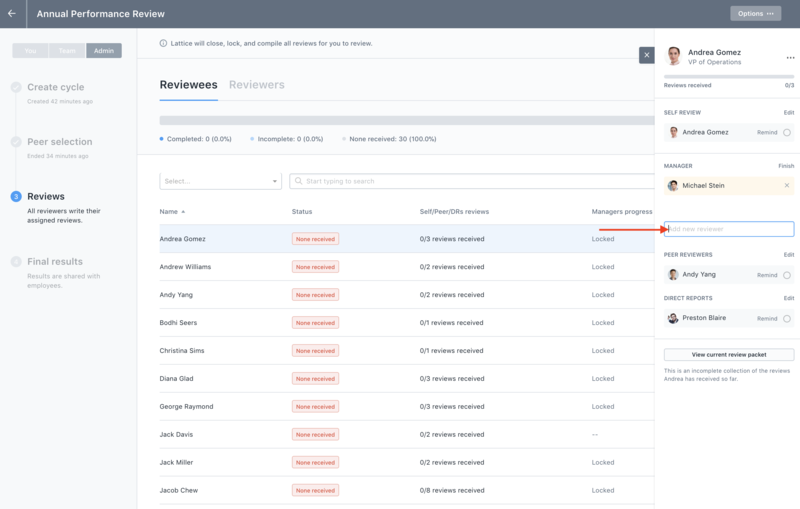 You can easily add a reviewer of any type - manager, peer, or direct report - mid review cycle. 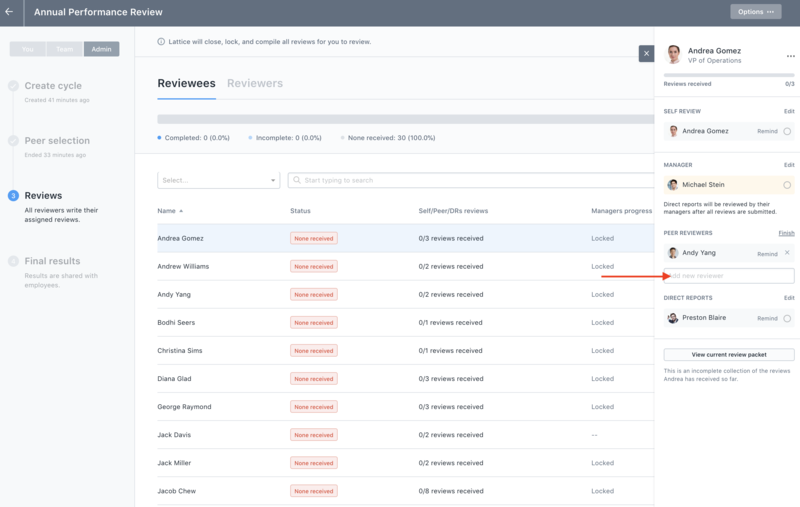 Step 6: To the right of the list of names, click "Edit"
Please note: you can add additional managers, direct reports, and/or peer reviewers. The new reviewer will be sent the appropriate template. To add an additional peer reviewer, the process is similar to the steps listed above. 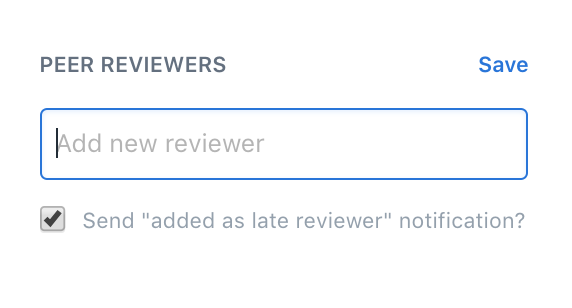 Just make sure you are adding your reviewer in the correct section (i.e. peer, manager). 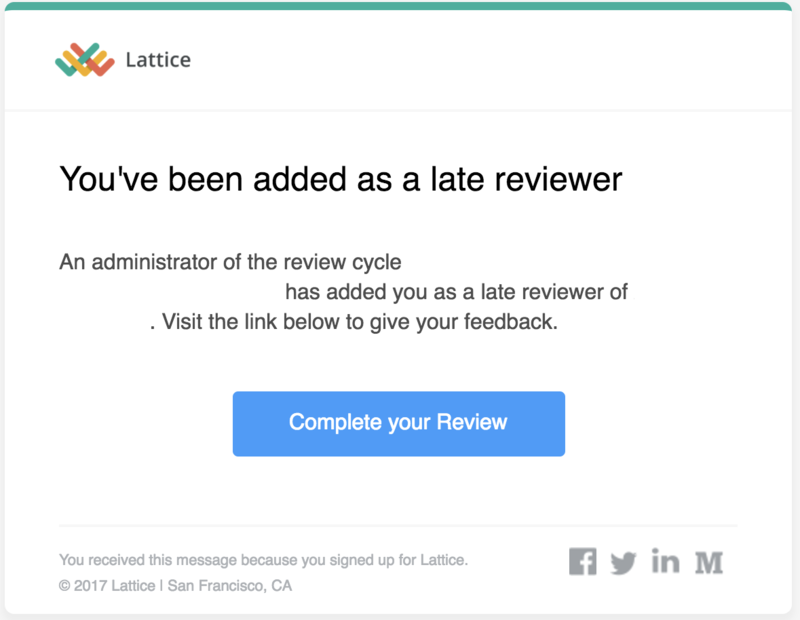 If you do not want the late reviewer getting an email notification when they are added, you can always "uncheck" the email notification box before you click the "Enter" key to add that user.